A cottage industry quickly sprang up in the early 80s when the first videocassettes made their way to the West African nation of Ghana. Armed with a TV, a VCR and a portable generator, mobile cinema operators set up shop in city neighborhoods and in rural berg and began to screen Hong Kong action flicks, Bollywood musicals, Nigerian movies and Hollywood blockbusters. 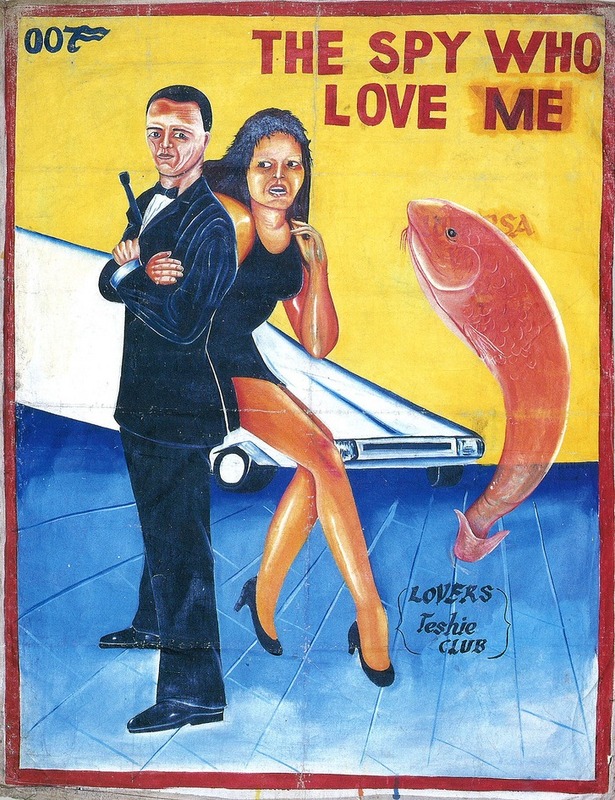 In order to pack their mobile theaters, promoters hired artists to design movies posters -- usually the sole means of advertisement for a screening. 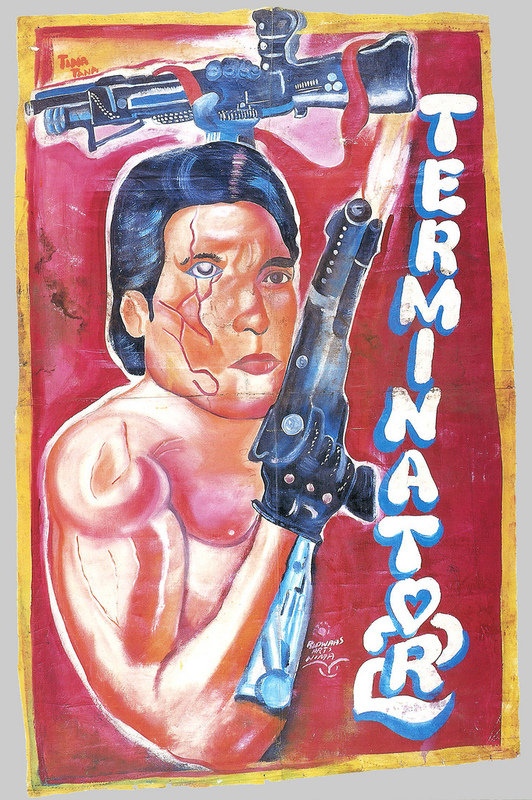 As with a lot of advertisements in Sub-Saharan Africa, the posters were hand painted on large pieces of canvas or used flour bags. The artists – many of whom seem to have only a tenuous grasp on perspective and human anatomy -- were oftentimes commissioned to design a poster without having seen the movie or even really knowing what a given movie star looks like. The resulting work is garish, lurid and wonderfully strange. 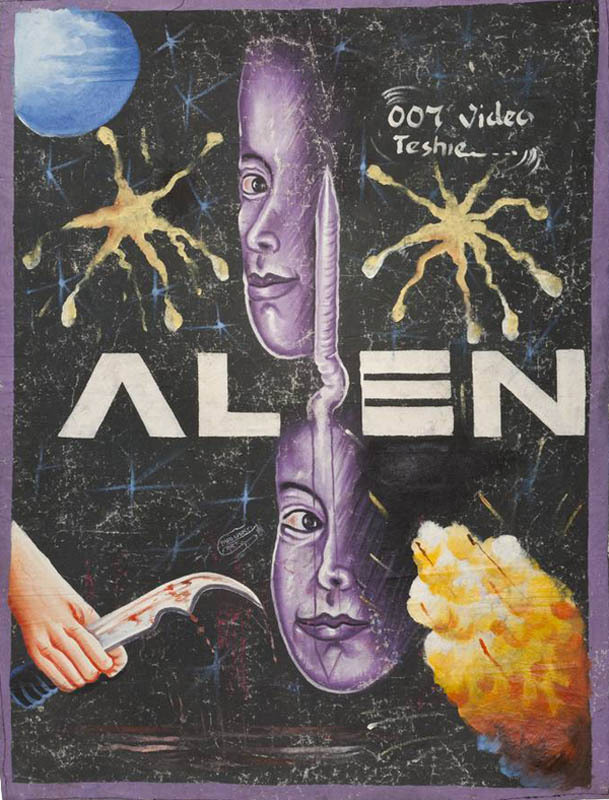 In an age when the posters coming out of Hollywood are bland and forgettable, the rough-hewn style of these posters is a real joy -- movie art with a pulse. 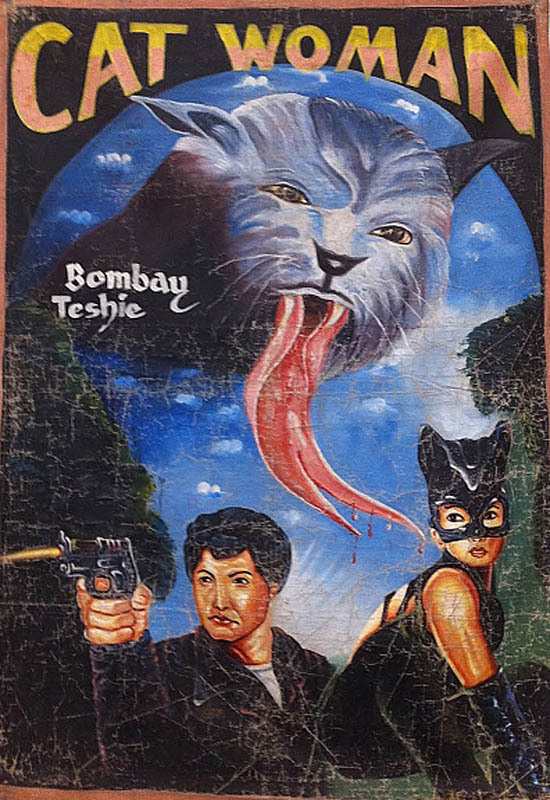 The version of Catwoman as advertised in the Ghanaian poster above looks way more interesting than the actual movie. The golden age of the mobile movie theaters started to decline in the 90s when more and more people were able to buy their own equipment. About that same time, Western collectors started to buy and collect the posters. Jeaurs Oka Afutu, a veteran poster designer who got his start when he was a teenager, reflects on his work. "Action and war works a lot ... and women too: both actually," he said in an interview with CNN. "It all depends on what the audience prefers." 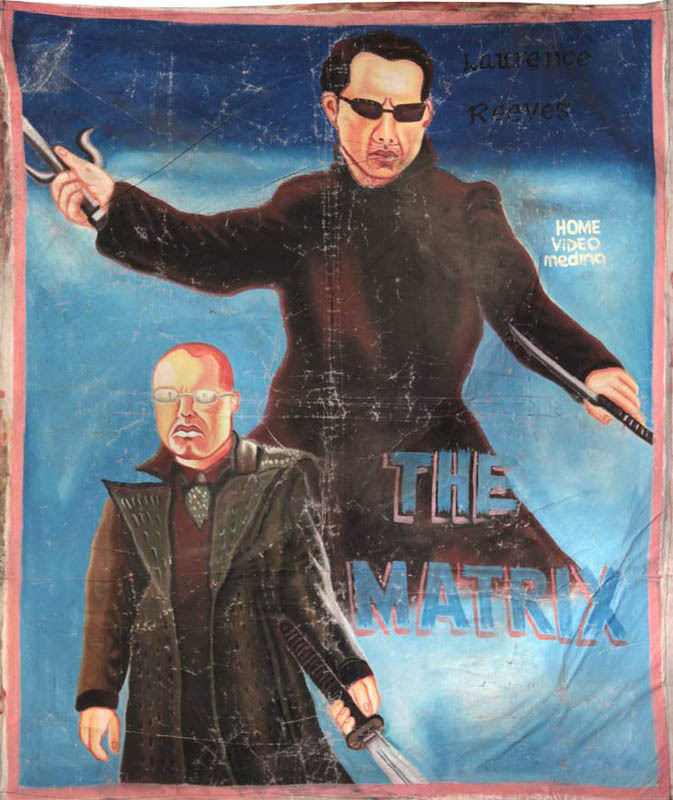 On this page, you'll also find posters for The Matrix, The Terminator, The Spy Who Love Me [sic] and Alien. Find more of these remarkable posters at Twisted Sifter.